"Beautiful scents of raspberry and cherry on the nose with fresh, clean strawberry and cherry flavors in the mouth and a consistent bead. The finish is clean and crisp and invites another sip. Cristalino Brut Rose Cava is an excellent match for fried appetizers such as calamari or light desserts such as creme brulee. It is also excellent on its own or with fresh fruit." "Straw color, smooth and fresh aromas; fine and fruity palate with a dry aftertaste. Clean, dry and crisp with citrus and apple flavors." The Roederer Estate Brut is crisp and elegant with complex pear, spice and hazelnut flavors. It is fresh and lightly fruity with great finesse and depth of flavor." "The most natural way to celebrate joyful occasions and historic events, Cordon Rouge is the unrivalled symbol of champagne all over the world. The robe: a fresh golden yellow with jade tints, an elegant stream of bubbles rising to form a rich, lively foam. The nose develops aromas of lemon and grapefruit, with notes of white peach, apricot and acidulous apple. Lingering notes of vanilla, dried fruit and honey. The flavor: complex fresh fruit and caramel flavours are the mark of a great wine. A touch of acidity and remarkable length in the mouth make a consistently delightful finish." "A harmonious and consistent blend containing one-third each Pinot Noir, Pinot Meunier and Chardonnay grapes, never sold until the youngest component is at least three years old. Described as "Brut," it is a versatile wine suitable for most champagne occasions, as an aperitif, complement to a meal or pure celebration. The definitive house style." "Nectar Impérial is a champagne to please the senses. The assemblage is built around the structure of the Pinot Noir : supple and smooth. Nectar Impérial is both a refined and sophisticated wine whose richness turns into sensuality. Quality : Demi-Sec. Assemblage : Chardonnay, Pinot Noir and Pinot Meunier. Color : medium golden yellow. Aroma : dried fruits, barley sugar, ripe wheat. Palate : balanced and supple. Finish on raisins. Food Pairing: With foie gras, blue cheese made from cow’s milk, peach based desserts, dried fruits, mixed nuts. The recipe of Bernard Dance - Chef at the Château de Saran : Escalope of duck foie gras with caramelized root vegetables." "White Star, a balanced blend of the three vines varieties, reveals a harmonious succession of sensations, a soft maturity, elegant lines, offering you sensations which can be shared and celebrated at any time. Quality : Extra-dry. Assemblage : Chardonnay, Pinot Noir and Pinot Meunier. Color : golden yellow with shades of amber. Aroma : aroma of flowers, hazelnuts, and biscuits. Palate : soft with a fruity finish, evoking the peach. For aperitif. With cheese-based entrées, oysters, and fish dishes. The recipe of Bernard Dance - Chef at the Château de Saran : Braised lobster with cabbage." "The #3 Champagne in the U.S. Tasting Notes: a sensuous champagne permeated with flavors of ripe, exotic and candied fruits. Recommended Food: Southwestern cuisine and rich, creamy desserts." "Wines of great authenticity, Moet & Chandon Champagnes are expansive and generous, displaying an intensity of their own. Their uniquely open and forthright personality means they can be enjoyed on many occasions. These are wines whose all-embracing elegance and full-bodied texture are guaranteed to please." "The jewel of the house is Cristal, created in 1876 for Tsar Alexander II. This is champage at its finest, as inspired today as it has always been, the embodiment of elegance and purity. Cristal is made according to the strictest criteria, based on a drastic process of selection applying to the vintage, the cru, the village, the grapes and finally the wines. Only Pinor Noir and Chardonnay grapes from the House's 10 most celebrated crus are used in the production of this legendary cuvee. Tasting Notes: Yellow appearance with burnished gold reflections. Intense nose of white flowers, citrus, and red berries, followed by warmer whiffs of toast and wood. On the palate, ripe lush fruits (vine peaches) and toasty flavors. Dense, fleshy structure. Powerful finish. Choice of Food: serve with more refined dishes cavier, fish and shellfish such as lobster or spiny lobster." "Veuve Cliquot Yellow Label is a perfect example of harmony between delicacy and power. Dominated by Pinot Noir, this wine has a firm structure, rounded with a touch of Pinot Meunier. Nearly a third of Chardonnay gives it the elegance and finesse needed for perfect balance. Brut Yellow Lable has an intense, pleasant fragrance, with fruit and brioche notes. Well-balance and pleasantly fresh to taste, with a remarkable fruity structure. 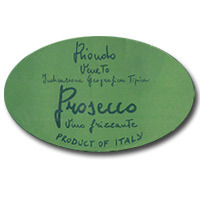 Brut Yellow Label is the perfect aperitif and a welcome accompaniment for a meal of seafood or fish." "The Brut offers a crisp, and full-bodied sparkling wine, which has developed rich complexity and fine mousse. The allure of toasty finish from twenty-four months on tirage, is a complement to the sophisticated apple and citrus flavor. Winemaker's Note: Brilliant with ultra fine bubbles. A wonderful fine bouquet dominated by green apple and grapefruit flavors. A truly classic house style!." "The color is salmon pink and the taste is soft and creamy. The dominating aromas are cherries and apple peel. This Rose is perfectly balanced sparkling freshness and irresistible aromatic purity. Winemaker's Note: This is great stuff! Very limited edition. Only 280 cases produced! The taste is brilliant, Complex with wonderful rich Pinot Noir nose, and at the same time a buttery, elegant Chardonnay texture." "The rich and toasty character of our Blanc de Noirs is balanced and superb. Aged for two-year minimum, the palate is developed and shows rich complex flavors. The amazing berries aromas and the creamy texture play a leading role and create a great finesse. Winemaker's Note: A fine salmon color, aggressive mousse and a lovely fruity wine with plenty of immediate charm and toasty aromas. There is also an explosive juicy flavor of raspberry."